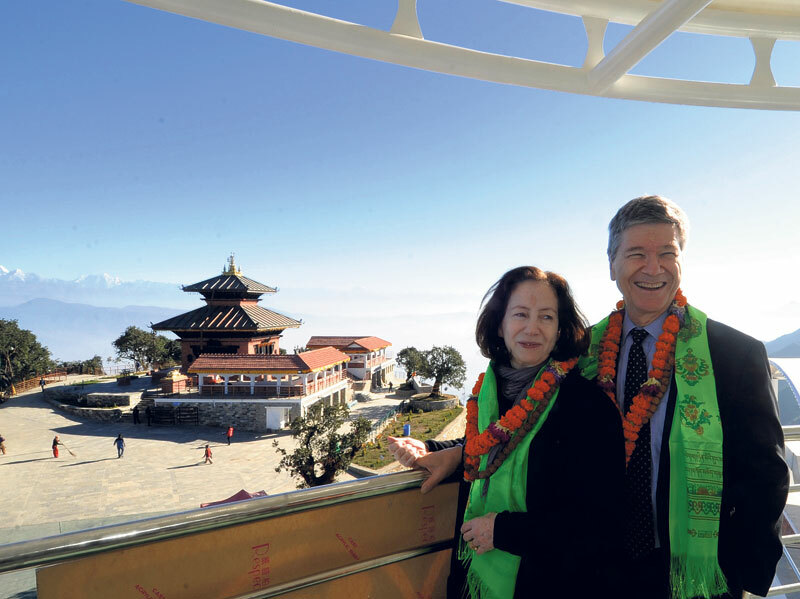 KATHMANDU, Dec 4: Jeffrey D Sachs, a world-renowned professor of economics, has said that hydropower is one sector that can help Nepal achieve sustainable development. Speaking at a public lecture entitled ‘Sustainable Development in an Uncertain World’ organized by the National Planning Commission (NPC) in Kathmandu on Sunday, Sachs, who is also a leader in sustainable development and a senior UN advisor, suggested that Nepal generate at least 10 GW of hydro power in the next 15 years for the South Asian market. Hydropower generation can also help Nepal get rid of petroleum dependence and use its own hydroelectric which would be good for national security and good for the air, said Sachs. “I think it is really a huge strategic opportunity to get 10 to 20 GW of hydroelectric power developed, deployed, coming into the national budget, and funding rest of the development agenda quite quickly,” he added. Another strategic opportunity for Nepal that Sachs pointed out at the public lecture was the integration with South Asia in general, and with China and India in particular. 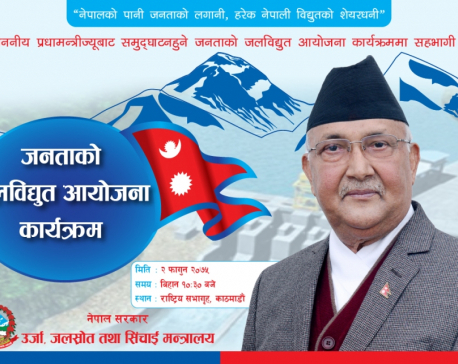 “Nepal is in between two major countries which are growing fast. Both are big powers in the world, both are mega populations and nuclear powers and major forces in the world. My advice to you is to be friends with both of them to grow alongside with the neighbors because you don’t want to be a poor man in between these two giants,” he said, referring to China and India. He also said that most of the sustainable development goals (SDGs), a set of 17 goals that the world adopted to end poverty, protect the planet, and ensure prosperity for all, are still a part of national agenda of Nepal. Stating that the world has been observing geo political, economic and physical uncertainty in recent times, he said that the world adopting the SDGs and agreement on climate change in Paris unanimously is ‘no small feat when we don’t have agreement on anything often’. 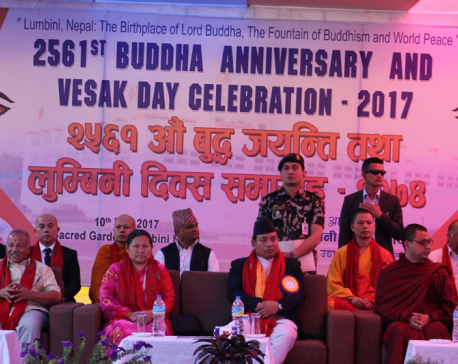 He also lauded the significant progress that Nepal has made in millennium development goals despite political and other uncertainties. 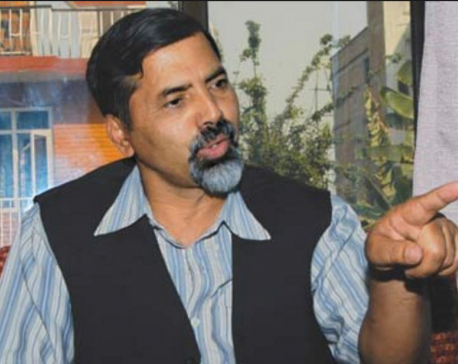 Talking about measures to curb corruption, he said that putting cash transactions into banking transactions, adopting e-governance and training officials to set up professional standards are the ways that Nepal can adopt to ‘de-corrupt’ the system.